The Hyundai Veloster is a compact hatchback four-door, but not like you're thinking. On the passenger side the Veloster has two doors, but on the driver side, only one. In the back, it's a hatchback. The unusual layout is supposed to help with cargo-loading and wedging passengers into the backseat. It takes some getting used to, and can also seem weird for the sake of weird, since there are few real advantages to the asymmetrical layout. With the Veloster, Hyundai has a hatchback that it pitches against the Honda Civic Coupe and Toyota C-HR. The 2019 Hyundai Veloster broke cover at the the 2018 Detroit auto show with a surprise: a very hot, Veloster N version. 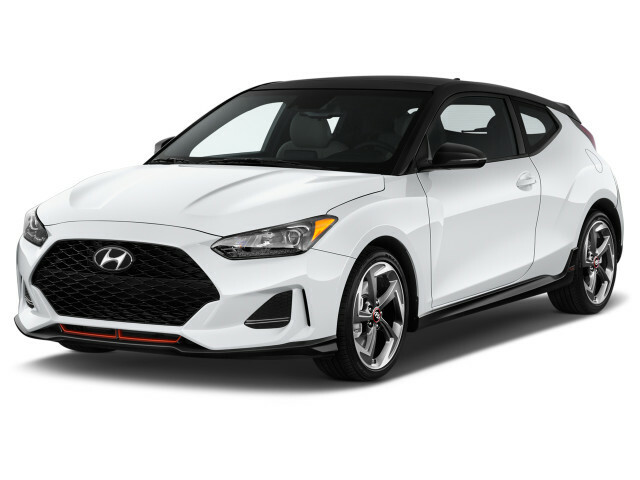 Both the new Veloster N and 2019 Veloster don't stray far from the formula: asymmetric doors, seating for up to four, inline-4 and turbo-4 engines, and manual or automatic transmissions. The base Veloster is powered by a 147-horsepower 2.0-liter inline-4, while Veloster Turbo and R-Spec models get a 1.6-liter turbo-4 that makes 201 hp. 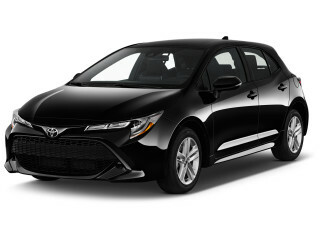 Six-speed manuals are standard for both, while the base Veloster gets an optional 6-speed automatic and turbo models get an optional 7-speed dual-clutch automatic. A Veloster N gets a 275-hp turbo-4 that with a 6-speed manual. Based on the Elantra sedan, but fitted with the 1.6-liter direct-injection inline-4 from the smaller Accent, the first-generation Veloster was the first Hyundai to offer the company's dual-clutch transmission. Its handling was very good (thanks in part to a different rear suspension geometry and stiffer tune), with impressive grip and poise, though its steering could've use better weighting and more road feel, and the engine was sorely lacking in low-range torque. Provided you keep the revs up, the Veloster showed its other, perkier personality. Hyundai added a turbocharged engine to the Veloster lineup shortly after the first model was introduced. It included a sport-tuned suspension, revised steering and brakes, and 18-inch wheels and tires. The Turbo netted 201 hp and originally offered a choice of a 6-speed automatic or manual. While the Veloster's cabin is spacious and airy from the front seat, the back seats were cramped with limited head room. Rear seats were folded down, where they formed a flat cargo surface; the hatch is very wide, although there's quite a tall liftover at the back. The Veloster came with a standard 7.0-inch touchscreen, Bluetooth connectivity, built-in Gracenote display technology, and a USB port to connect and access iPod media via voice controls. The 2012-2013 Veloster is one of a set of vehicles found to have overstated fuel-economy numbers. The EPA has tested both model years and lowered its gas-mileage ratings, to a maximum of 37 mpg highway for the Veloster, and 35 mpg for the Turbo. Owners can register with Hyundai to receive reimbursement for the gas consumed above and beyond expected levels; more details are found at HyundaiMPGInfo.com. For our own real-world take on the car, including its gas mileage returns, read our 6-month road test. Hyundai added a Turbo R-Spec Veloster model for 2014 for shoppers interested in taking their hatchback to a racetrack. Compared to the regular Turbo model, the R-Spec offered a stiffer suspension, a unique steering calibration, and a short-shifter from B&M. 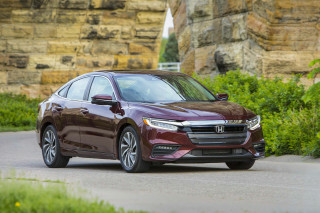 It also did without a few features, like the proximity key, the fancy instrument cluster, turn signals in the side mirrors, and heated leather seats. The Veloster changed only slightly for 2015. 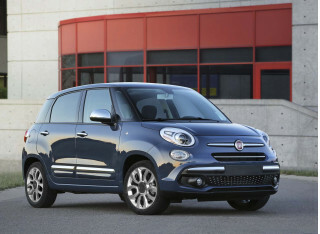 Eighteen-inch alloy wheels were added to the Style Package, and the Technology Package gained automatic climate control. Hyundai updated the Veloster for 2016. 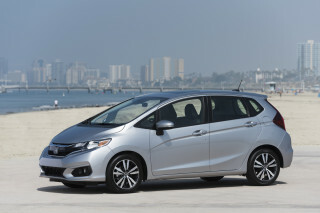 All models got a revised front-end look, with a much larger grille and a new hood. The 7.0-inch infotainment system was improved, with the addition of the latest Hyundai Blue Link features and Siri Eyes Free functionality. The Veloster Turbo received a new 7-speed dual-clutch automatic as an option, replacing the former 6-speed automatic. 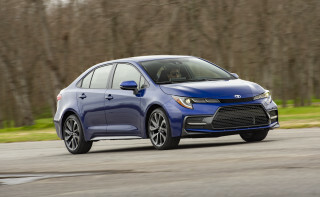 A Rally model went above the R-Spec with stiffer suspension tuning, a B&M Racing sport shifter for its 6-speed manual, lightweight 18-inch RAYS wheels, and unique matte blue paint. After a host of updates last year, for 2017 the changes were limited to the addition of HD Radio, Apple CarPlay and Android Auto to its infotainment system. Amazing car on the highway, okay in the city. Awesome and fun car to drive. Automatic 7 speed DCT is sometimes not very responsive, but drives much better in sport mode.